When Mr Gervais Lee first told his family and friends he would be studying forestry at university, many of them had no idea what that meant. Someone even asked if it was related to feng shui. A university degree and many explanations later, the 28-year-old recipient of the National Parks Board (NParks) Undergraduate Scholarship is now in the position to educate more people and spread a message to a wider audience. 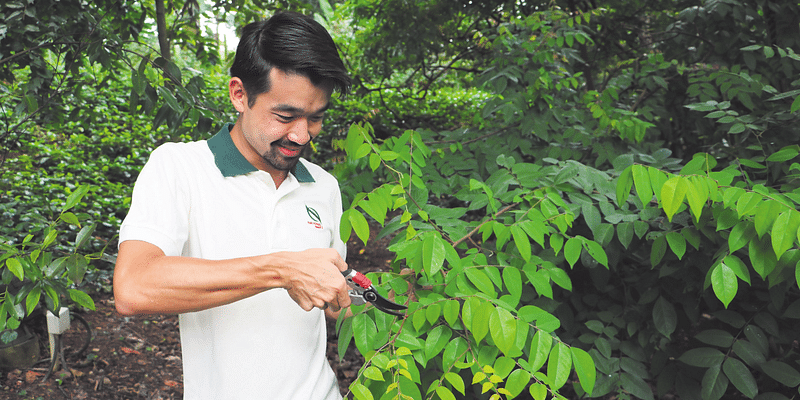 Currently a park manager in Fort Canning Park, Mr Lee has made it his mission to help Singaporeans appreciate the beauty and heritage of this green space in the middle of the city. “Forestry — particularly urban forestry — has become increasingly relevant to cities such as Singapore. It is important that constant urban redevelopment is accompanied by an increase in the quantity and quality of urban greenery,” he says. Mr Lee grew up with a strong connection to nature. His childhood was spent exploring parks and nature reserves, climbing trees, watching nature documentaries and learning about wildlife. It sparked in him a deep and abiding love for all living things. He heard about the NParks Undergraduate Scholarship at a scholarship fair in junior college. 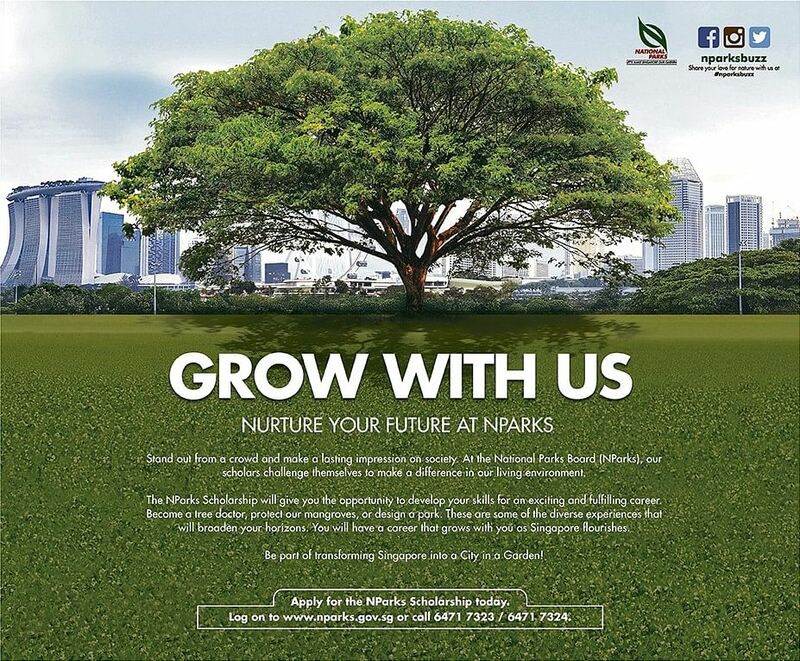 Intrigued by NParks’ vision of incorporating more greenery into Singapore to improve its ecological health and liveability, he applied for and received the scholarship in 2010. One of the highlights of Mr Lee’s time as an undergraduate at the University of British Columbia (where he studied Forest Sciences from 2012 to 2016) was a three-month overseas stint to India in the summer of 2014. He attended a field school in Uttarakhand and Kerala for a month, then spent another two months in Kerala doing field research. During this time, he interacted with local government officials, researchers, local eco-development committees and indigenous people. “Spending a prolonged period in India living among locals gave me a deeper understanding of how culture influences the conservation of biodiversity and green spaces, and how successful conservation strategies are often a result of sound science coupled with strategies that effectively engage local communities,” he says. Mr Lee began work for NParks after graduating in 2016. As a park manager, he is involved in curating and managing various heritage landscapes and trails in Fort Canning Park, such as the Farquhar Garden — a new development featuring plants originally grown by Major William Farquhar, the first British Resident and Commandant of Singapore from 1819 to 1823. Last year, he was part of a team that developed and launched trees.sg, an interactive online map containing the locations and biodata of over 500,000 urban trees in Singapore — the most extensive tree map in Asia. Users can search for any tree they want, and learn its scientific name, physical attributes, and even how much carbon dioxide it can store.